Honoured to be in the latest issue of the highly respected Crisis Response Journal (Vol. 13:4) which focusses on Travel safety. I teamed up with risk & resilience specialist Colin McGowan (of Foresee-Associates) to write advice on being prepared for risk when travelling. Click here to read our article along with the full contents list for this issue. Publication comes just as Salvas and Foresee are launching Plan2Survive™, a flexible risk and resilience planning and skills training service that integrates the expertise of our respective teams. We might be a teeny bit biased, but we are truly impressed by this multidisciplinary quarterly journal. So I’m delighted to pass on a discount offer for a year’s subscription: 50% off the web edition (full price £60) or 25% off the print edition (full price £100). Both deals give you access to the entire online archive, including the current issue. Sign up in August 2018 and enter Digital50 or Full25 in the discount code box. Do you have a Plan2Survive? Colin McGowan and I work with people whose job it is to prepare for the worst. 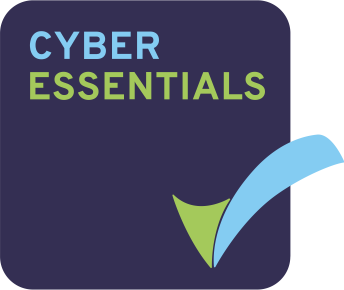 We’re both very aware there’s a pressing need among organisations that want robust, actionable plans ready to roll out in the event of a sudden, life-threatening attack or emergency. So, we’ve been working together to develop a service that combines the expertise behind RunHideSurvive™ with that of Colin’s resilience consultancy, Foresee Associates. Colin and I have long been concerned at how little practical preparation is available to staff working in places that are prone to terrorist attack or criminal attack. Places like public buildings, schools, stadia, transport hubs ,entertainment venues. The list goes on. Yet the reality, when attackers strike, is that employees who are caught up in the deadly mayhem are potentially in a pivotal position to help others to survive. This was seen after the Manchester Arena attack when zero- responders gave aid to the injured without access to proper life saving advanced first-aid equipment. Workforce members have a vital role in your organisation’s incident-response plans. That is a lesson we’ve all learned from a succession of recent atrocities most notable the Manchester Arena bomb attack. Those people will only have moments to react. It will be down to your personnel, the zero- responders to help others escape. If escape’s ruled out, they’ll need equipment and training to improvise a lockdown refuge. Lives will depend on them. They need a plan. They need portable emergency equipment. And they need specific, memorable training to carry them through the heat of a crisis. This is where Plan2Survive™ comes in. Plan2Survive™ blends the RunHideSurvive™ training and e-learning modules with a flexible range of Foresee services. You pick the options that address the areas you want to strengthen; the aim is to complement your existing arrangements without replacing elements that work well. Foresee is the company Colin founded in 2009 following 30 years with Strathclyde Police. It builds on his extensive experience in resilience, emergency planning, public order, firearms, planning major events, counter-terrorism, and major incident management. Foresee’s services include resilience audits, testing of emergency plans, and emergency exercises; and training in resilience management, multi-agency incident management, situational awareness, decision-making, and crisis communications. 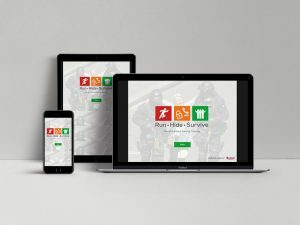 RunHideSurvive’s™ combination of equipment and training for workforce responders was designed by a multidisciplinary team of specialists from the fields of policing, military, counter-terrorism, pre-hospital care medicine, safety, event risk and security. An integral component is the emergency grab bag. It comes in Venue, Solo and Traveller sizes. 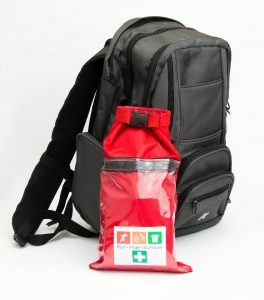 All contain escape tools, lockdown kit, PPE and advanced first-aid gear. Staff learn how to use the contents in our practical one-day workshop. Plan2Survive™ offers you and your organisation a level of skill and preparedness that’s proportionate to the enormity of a sudden attack in the UK or abroad.